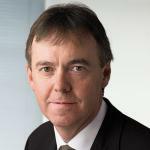 MIPTV has announced that Jeremy Darroch, Group Chief Executive of Sky, will give a ‘Media Mastermind’ Keynote on April 13th. The Media Mastermind keynote will be part of the MIPTV conference programme, which this year takes as its theme “The Millennial Shift”, tapping into the heart of this savvy generation of media users whose habits are shifting to newer forms of entertainment. Darroch became Group Chief Executive of Sky following the acquisition of Sky Italia and a majority interest in Sky Deutschland, which transformed the pay-TV and home communications company into one of Europe’s leading investors in content. The MIPTV keynote will be the first time he addresses the international media industry since completing the transaction.